Remember the lovely photographs in Enochian's fall look-book? Erik Lee Snyder was the man behind the lens and his portfolio contains even more gorgeous photos. 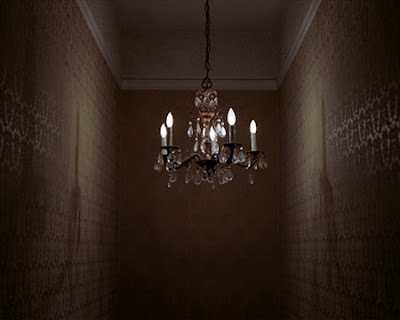 I love his photos...not only is the lighting just right but the overall mood is captivating. Plus, I want to smooch on the beach with a handful of balloons! Keep safe and sane today. Yes, these are just beautiful images. Isn't that everyone wish to have a makeout on the beach with pink ballons. Swoon . . . I love these images, particularly the one with balloons! Love the vote necklace too. I love the first one. gorgeous! I, too, want a handful of balloons!! How beautiful! I would totally love to make up a story about that first picture. Thanks SO much for adding me to your page today-this totally makes my day. Well, that and the fact that in two hours I'll be voting!!! I can't wait! We can just all run on the beach with balloons!!! Wow, these are so beautiful and romantic! Oh so beautiful. I want my life to feel like those photos! those pink balloons are perfection. This photographer has a very sultry and sensual style of photography. Where is he located? Lovely lovely work. I just adore exploring photographers' portfolios...it's like a window into someone else's special world. Thanks for the find, and I can't wait to check out the rest of his stuff! These are enchanting - the pink balloons are soo fun..! yup - perfection. the soft, yet colorful balloons against natural landscapes is all over & i love it. check out homako on flickr. the handful of pink balloons... i want. I love the birdcage image. So mysterious. his work is really nice. these photos evoke such a peaceful mood. I agree - superb lighting. great necklace in the post below! That first picture is so dreamy! Love it. understandably, i'm very drawn to those balloons- why are they so appealing?! they really are lovely to look at. really love that first one! 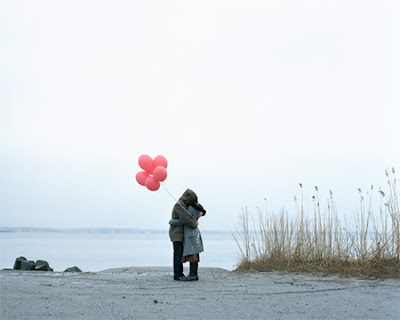 Oh, I love the balloon/beach photo- so so lovely! Auwww...smooching on the beach. lovely... I have a lot of photographers to study this summer and I would love to recreate these photos in my own way. Thanks for sharing. Beauuuuutiful. The first one is my favorite. Yes that first photo is beautiful. All of them are, but that top one special! 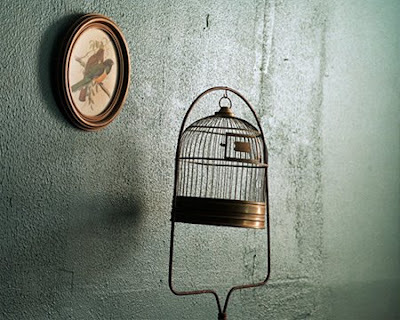 I always love a birdcage without a bird in it...great symbol; freedom! Historical moment for our country with our new 44th president! Yay!! Here you have the new Meli Mató Shop. The best present at Chistmas!!! Safe maybe but not sure about sane. I nearly went insane watching the voting results. They're all so lovely, although the balloons win for me every time! the first picture is especially divine. i wanna smooch, too.